We've all been waiting for this year's Christmas calendars to go live and now the time is here! Even though 1st December isn't until Thursday there are already some very interesting Christmas promotions going on at several online casinos. This is really the time of the year to get tons of free spins, cash prizes and nice bonuses. One Christmas campaign that is live already is the one that is going on in Rizk's casino. This promotion is running in the casino until Christmas Eve and every day until that day you can get daily free spins. 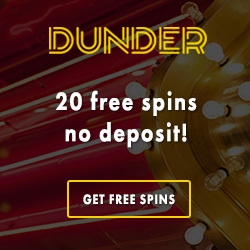 These free spins are as always wagering free which means good value and real money winnings! During this year's Christmas campaign at Rizk you can claim a total of 1500 free rounds without wagering requirements! So what are you waiting for? Join "Rizkmas" now to play free casino and get that cozy Christmas spirit! 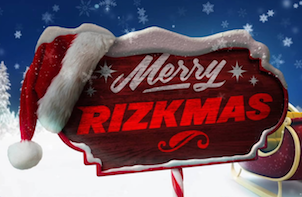 Everyone is welcome to join the current Rizkmas promotion with daily free spins! If you don't have an account at this casino yet you can easily sign up in order to take part of all the fun that is going on at Rizk until Christmas. 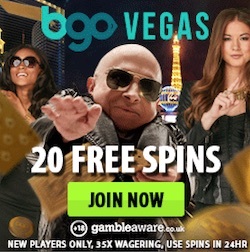 During the campaign you don't even have to make a deposit to get free spins without wagering requirements. The only thing you should focus on is to level up in Rizk's casino adventure. You are doing this by playing on optional games which will make your power bar increase. When you have filled this power bar you will level up and get a total of 50 free rounds. You will get 10 free spins per day during the following next 5 days. You can activate your free rounds in your reward section at Rizk. The spins are valid for you on familiar slots like Warlords: Crystals of Power, Aloha and Spinions. The offer can be claimed once per day until Christmas Eve and if you use the offer daily you will collect amazingly 1500 free spins! Each time you level up at Rizk you will also get a free spin on The Wheel of Rizk. 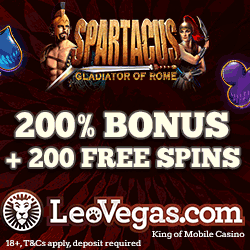 This spin could give you amazing gifts such as super spins, real cash, bonus money and free rounds. If you're already a member of Rizk you are probably already aware of all recurrent promotion that is running in the casino. For example players can participate in monthly Rizk races to win cash prizes and free rounds. Not that long ago Rizk also presented an Extra Wheel of Rizk which could generate additional prizes into your account! If you think that this sounds interesting you should definitely become a member of Rizk now. When you created a new account Rizk will welcome you to the casino with one free spin on The Wheel of Rizk. Hopefully this will give you some free spins no deposit to try the casino with! As a new player you can also claim a really generous welcome bonus. You can make a first deposit to Rizk of €/£/$50 and get a total of €/£/$150 to play for. 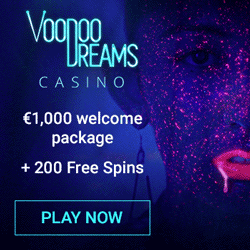 In other words Rizk is giving you 200% casino bonus up to €/£/$150 in connection to your first deposit. This will definitely give you the best possible start in the casino!